This really is pretty self explanatory, isn’t it? 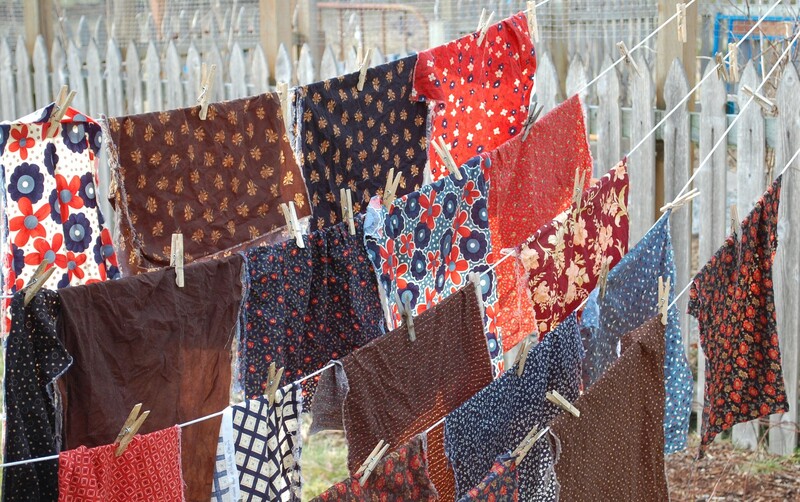 I don’t like the finish on most fabrics…and so yes, I wash it all…and when it is nice enough, dry it on the line. Saves electricity, wrinkles less, and looks mighty fine just hanging on the line! 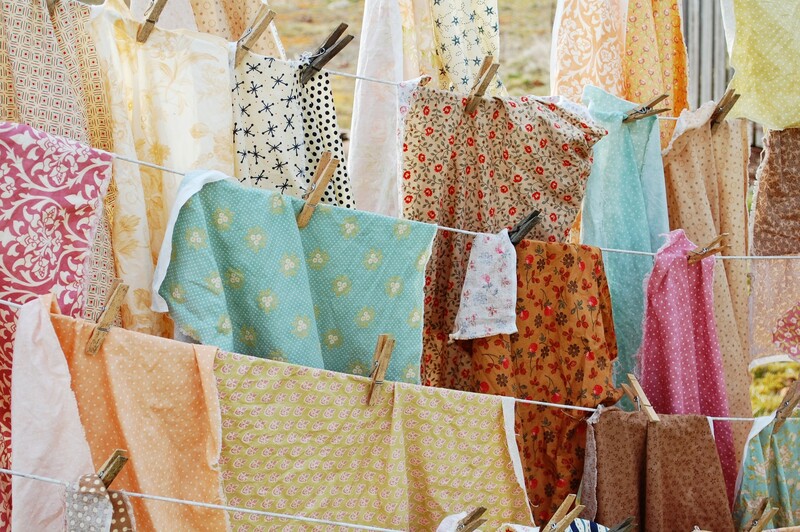 You know a photography session adds to the work of Laundry, but the results are so fun!…. I have a Free Spirit Laundry day Photoshoot sitting in my computer waiting to be posted….even more colorful! 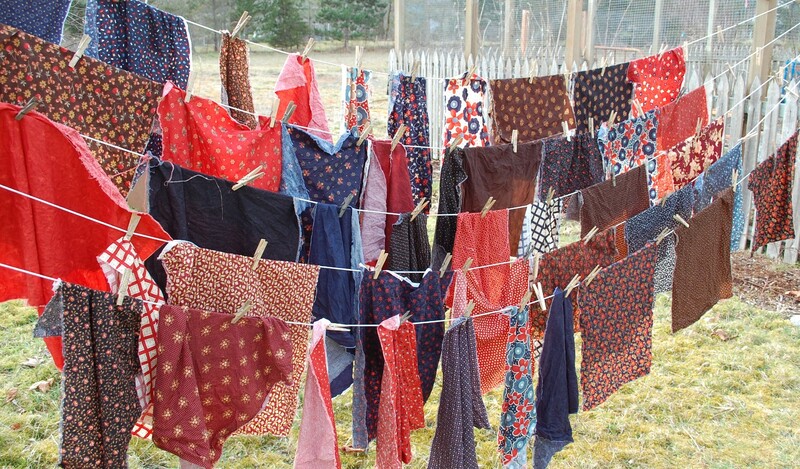 I never knew laundry could be so fun to look at!! 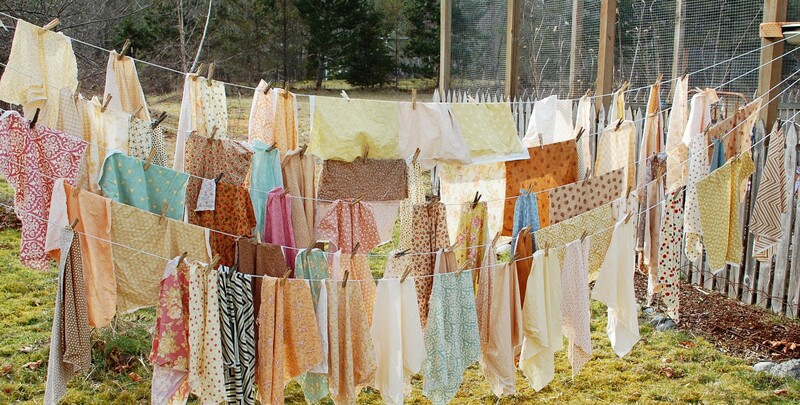 Do you think you are intimidating the neighbors with your coordinated laundry? Hahaha, I don’t think they were paying attention! 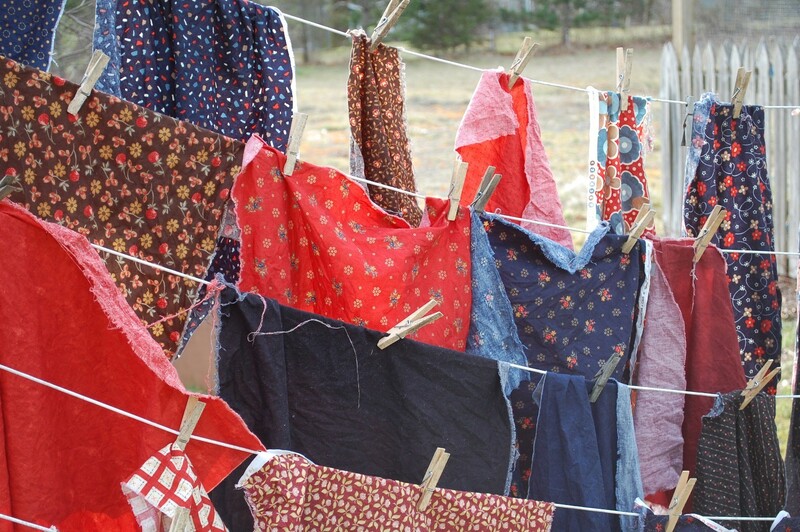 We really don’t have any neighbors that can see the laundry, but I know I would have fabric envy if I saw it (and it wasn’t my laundry)! 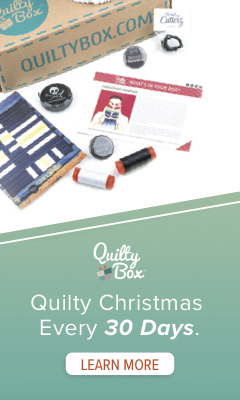 It’s really difficult not to covet your stash! Great Photos and GREAT post! 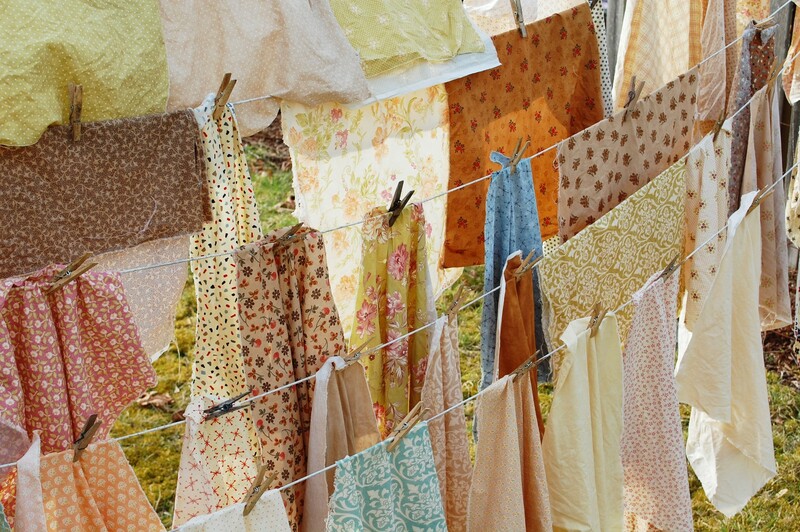 Very inspiring to see all those fabrics drying on the line!